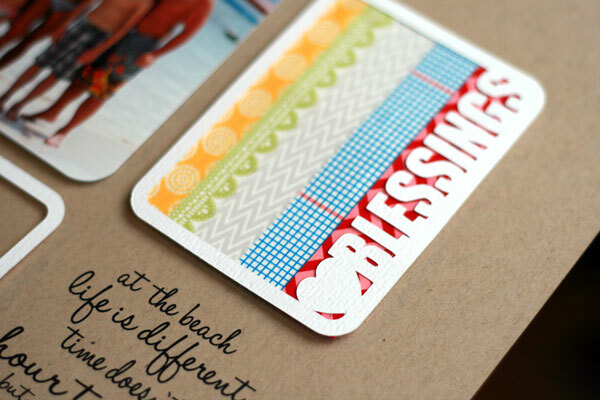 Welcome back to another post featuring the fabulous new JBS paper tapes! 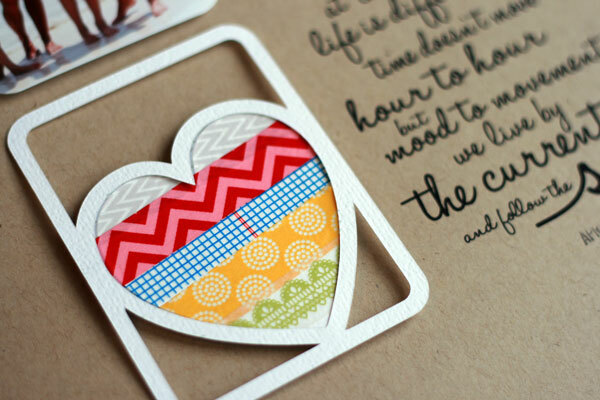 This week, we'll be showing you all kinds of inspiring and fun ideas for this versatile supply. The red Double Chevron, blue Notebook Grid, green Sage Lace and gray Sideways Chevron (combined with another yellow tape!) were the perfect touch of color and pattern for my page. The paper tape was quick and easy - much faster than cutting strips of patterned paper. I know I'll be using the tapes more often this way on future projects!